Stop by our office, which is located at 3 More London Riverside, SE1 2RE next to City Hall, and we will be more than happy to assist you. Can't make it into our office? No worries! Send your watch to us in three easy steps. 1) Fill out the form 2) Get a free estimate 3) Ship you watch to us. We repair it and securely send it back to you. We recognise the importance of ensuring your luxury timepiece remains in optimal condition, regardless of use or age. Whether a regular service, a repair or replacement, or the requirement if a new part, we know your priority is getting your watch back to its best as soon as possible. 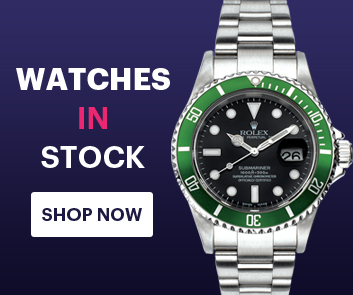 With this in mind, Time 4 Diamonds offer highly skilled in-house watchmakers, who have decades of experience working with Swiss watches, and who ensure your watch is in the safest of hands. In order to keep your luxury watch at its optimal performance we recommend that you service your watch at regular intervals.